Every day, Google is show casing a different Google Doodle (logo) on their home page for the olympics. We've been archiving the logos in this post, so if you want to catch up on them you can. Google's doodle today honored the rover by placing a drawing of it above a javelin thrower in the Olympics. 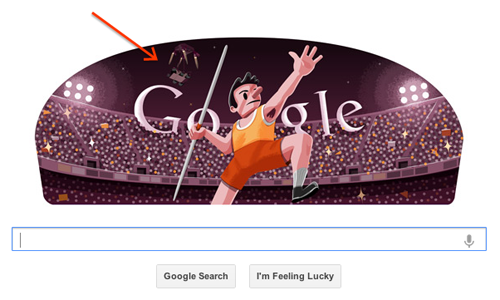 The doodle originally featured just the javelin thrower with a blimp above him, but updated to include Curiosity.